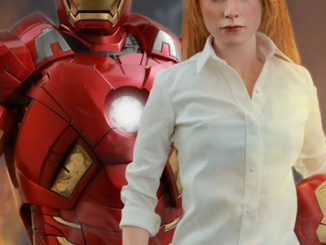 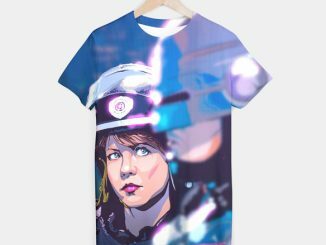 I’d buy that for a dollar. 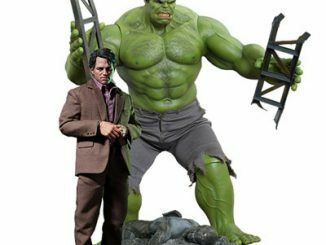 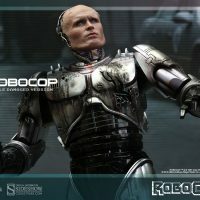 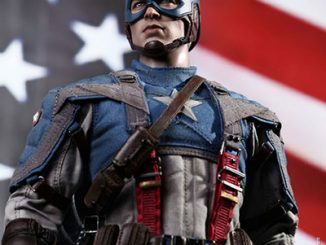 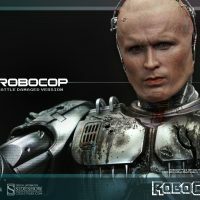 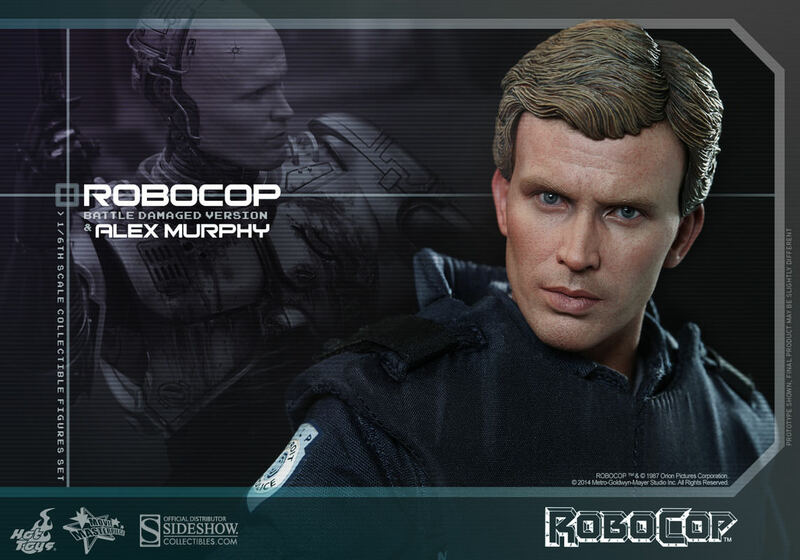 Of course, the Battle-Damaged Robocop and Alex Murphy Sixth-Scale Figure Set is worth a lot more than a buck, especially since Peter Weller’s face is on both figures. 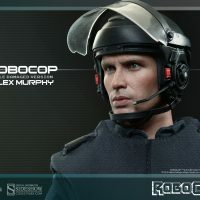 Before he was breaking the law in Charming, Peter Weller was upholding the law in Robocop, taking down the bad guys even after being fatally shot. 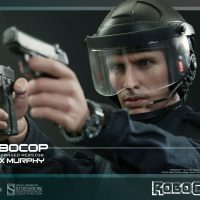 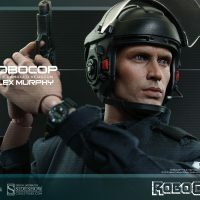 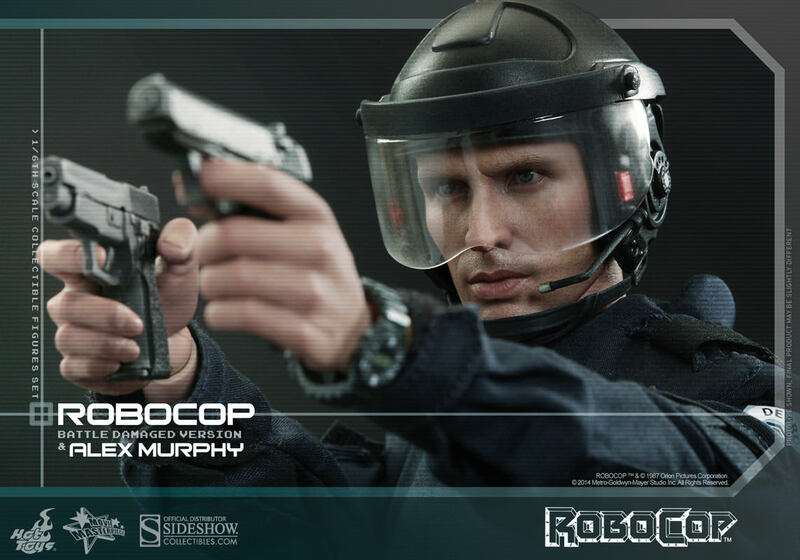 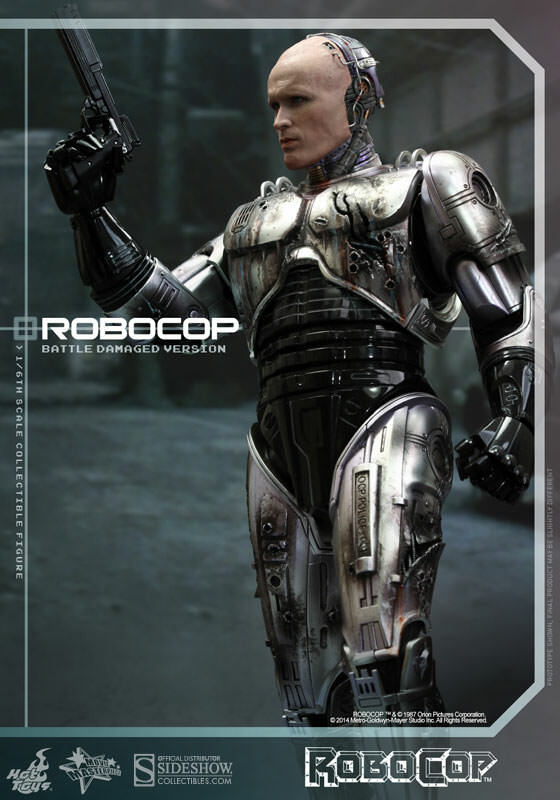 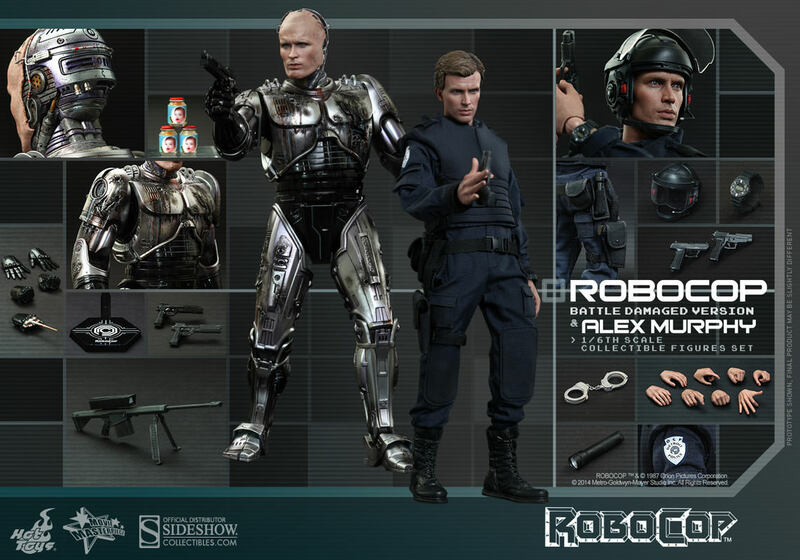 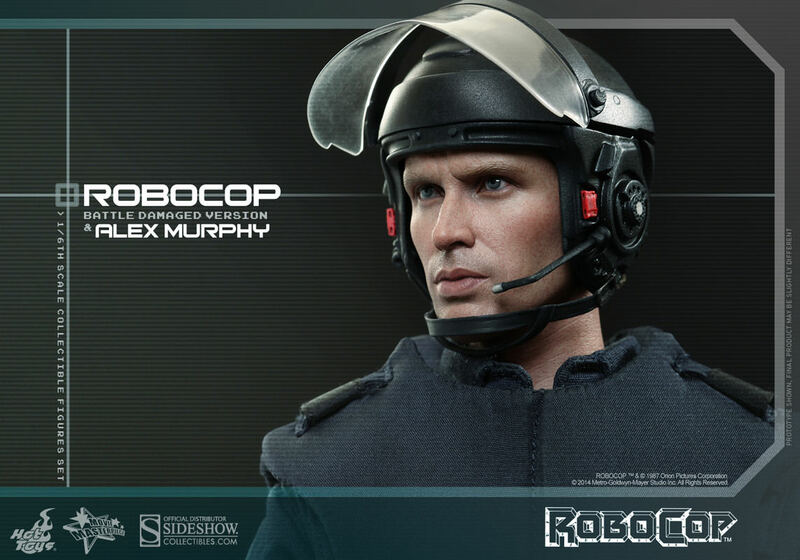 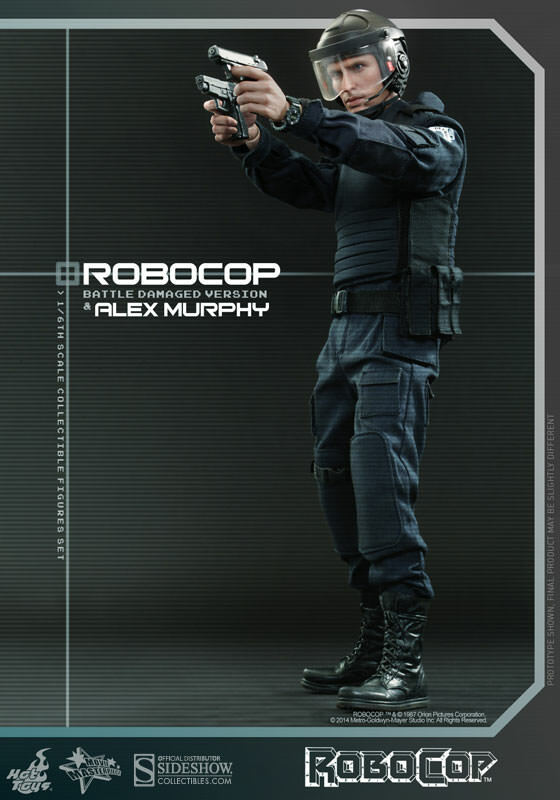 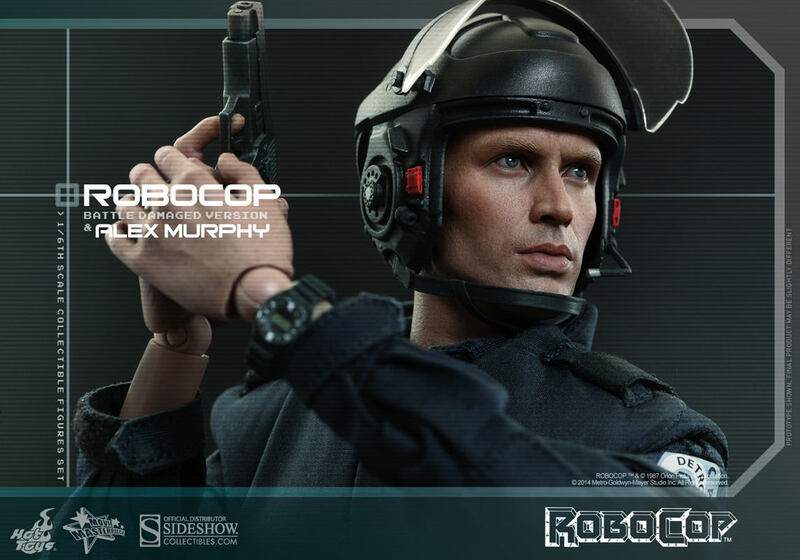 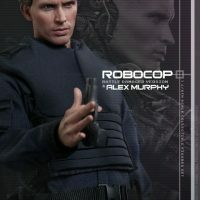 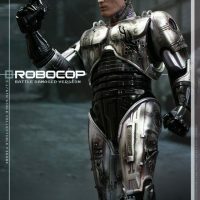 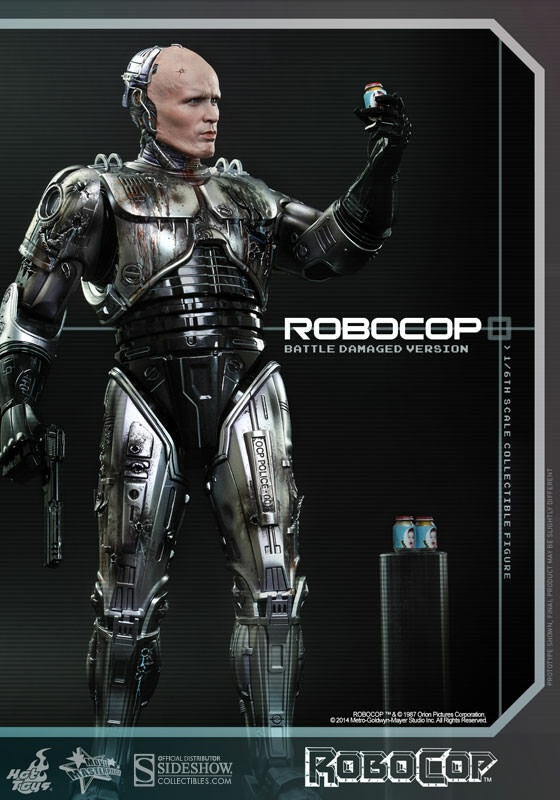 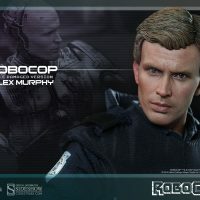 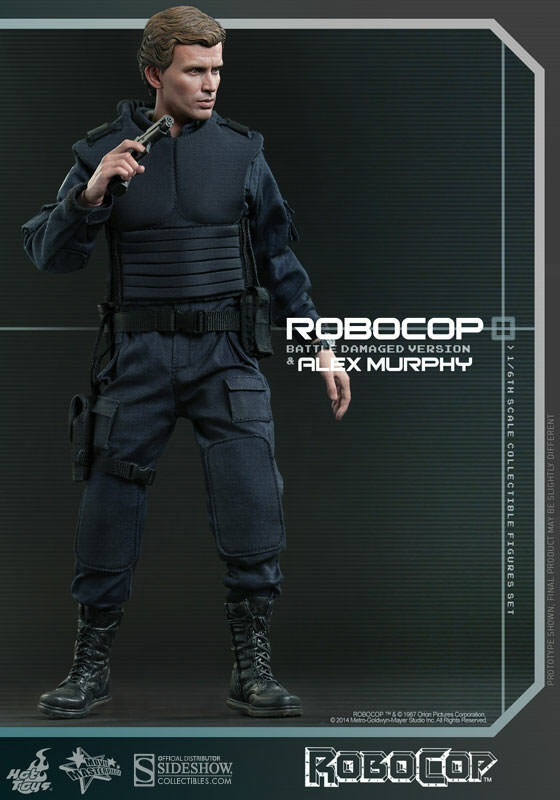 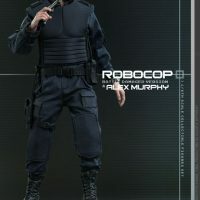 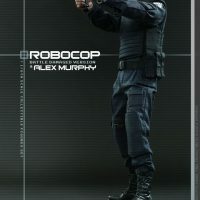 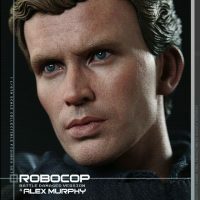 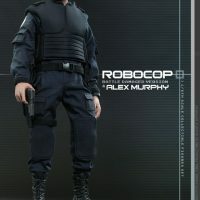 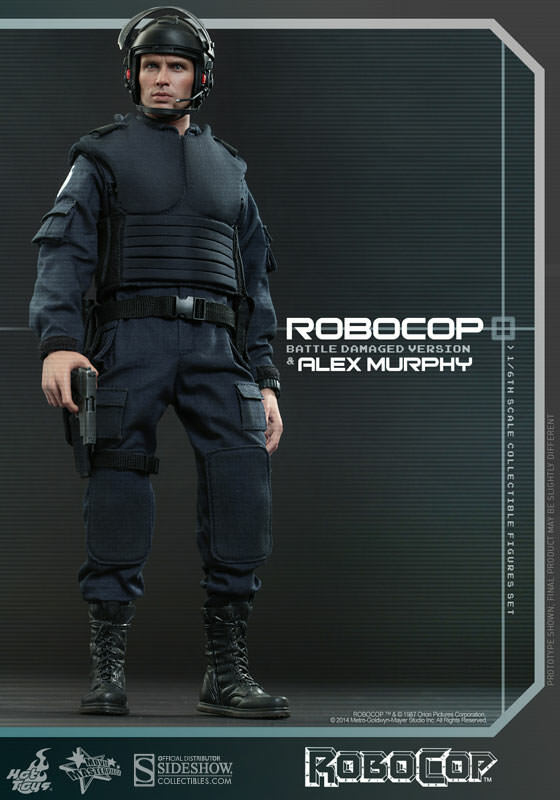 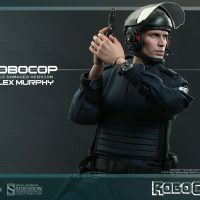 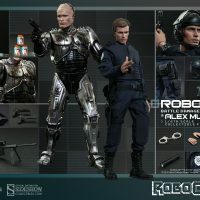 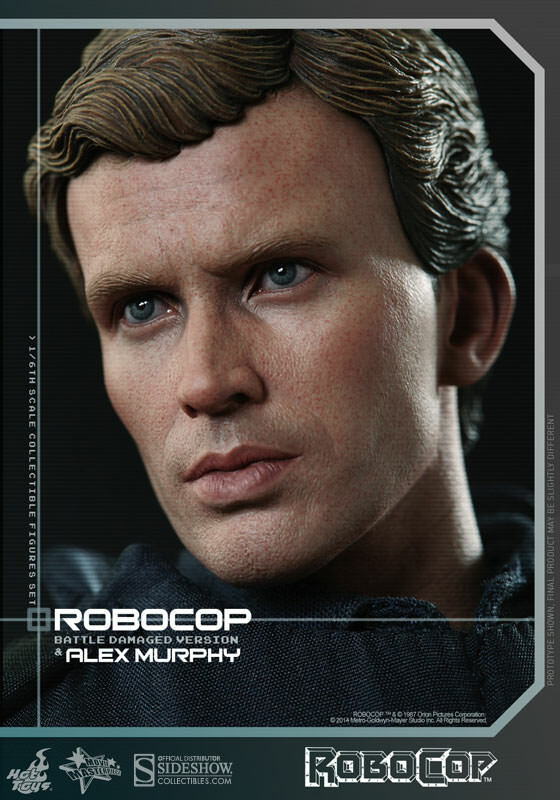 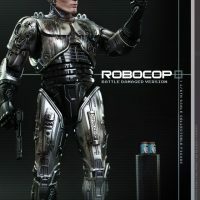 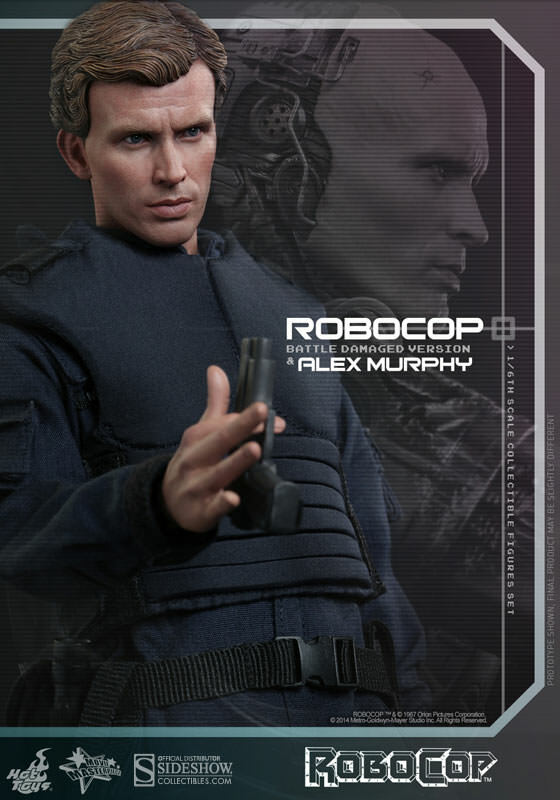 Now, Weller’s movie-accurate likeness is on both the Robocop and Alex Murphy figures, which also come with loads of accessories. 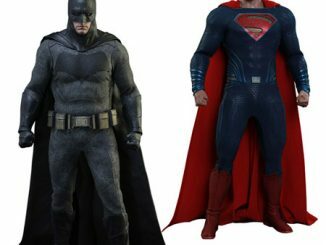 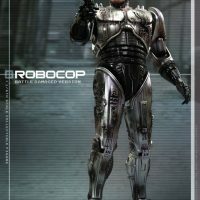 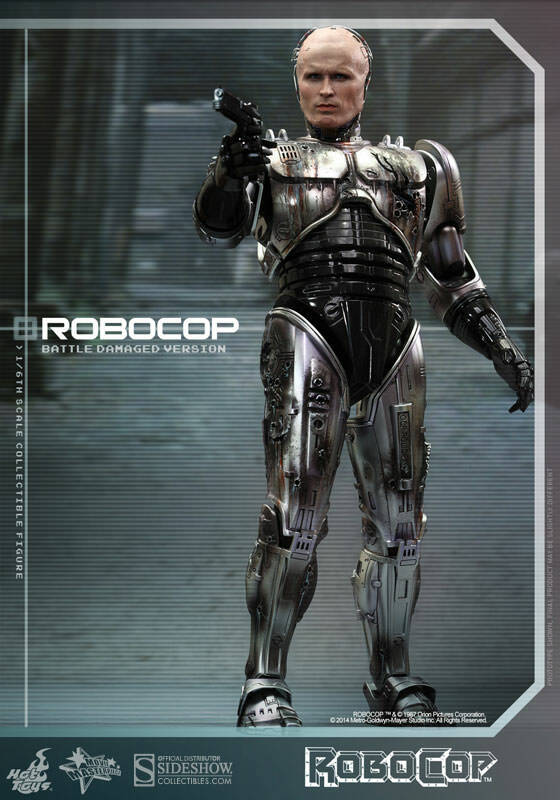 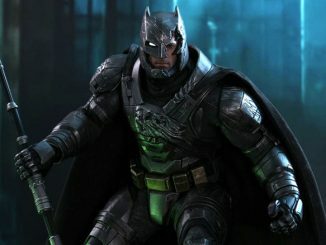 Robocop even has a working holster on the right thigh. 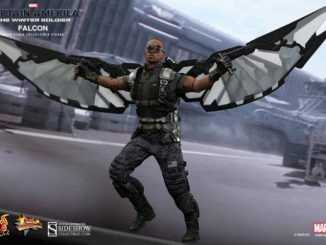 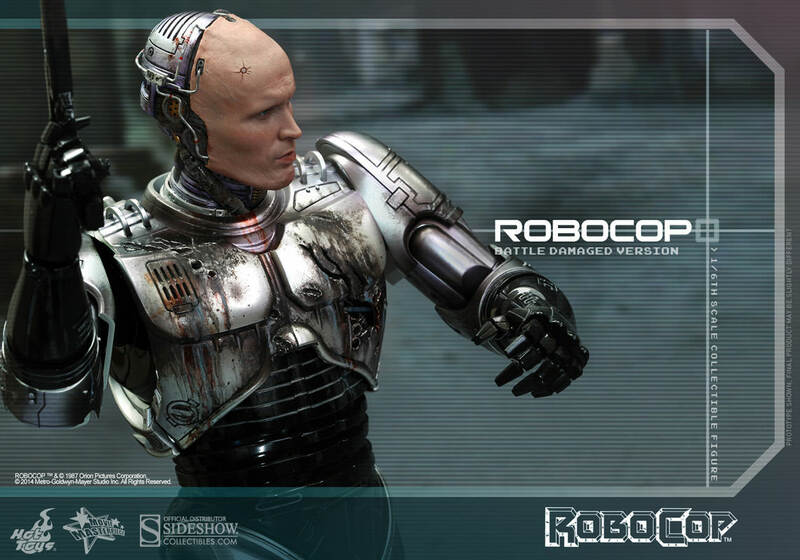 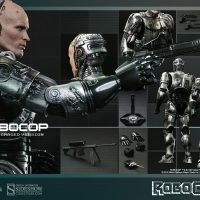 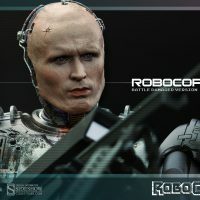 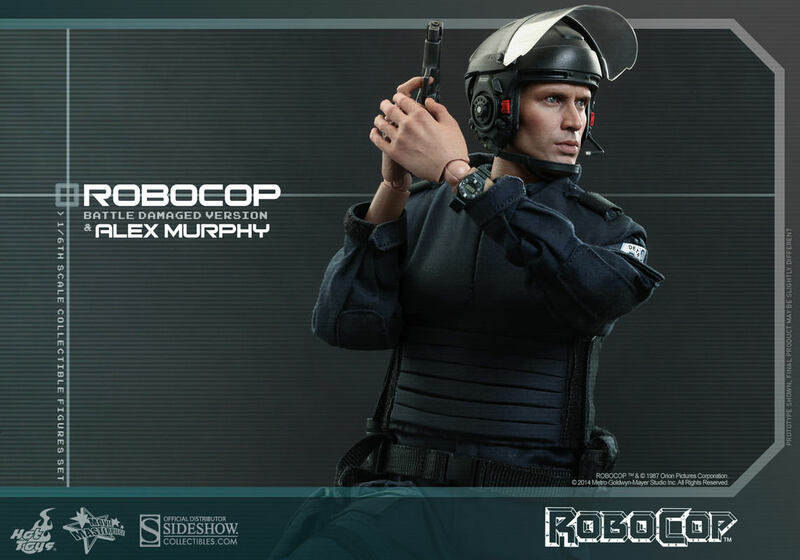 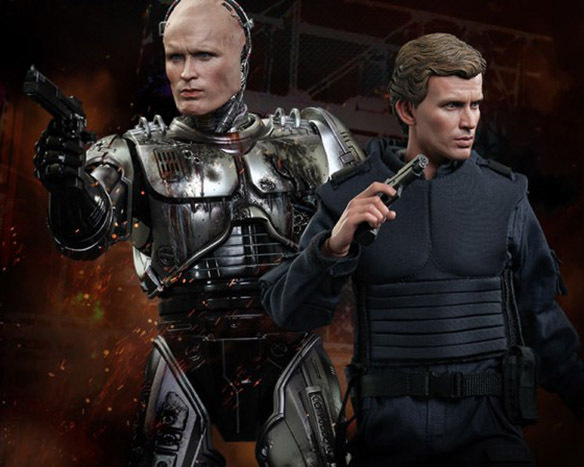 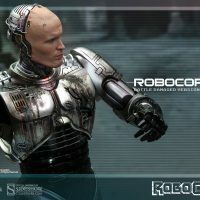 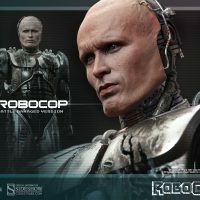 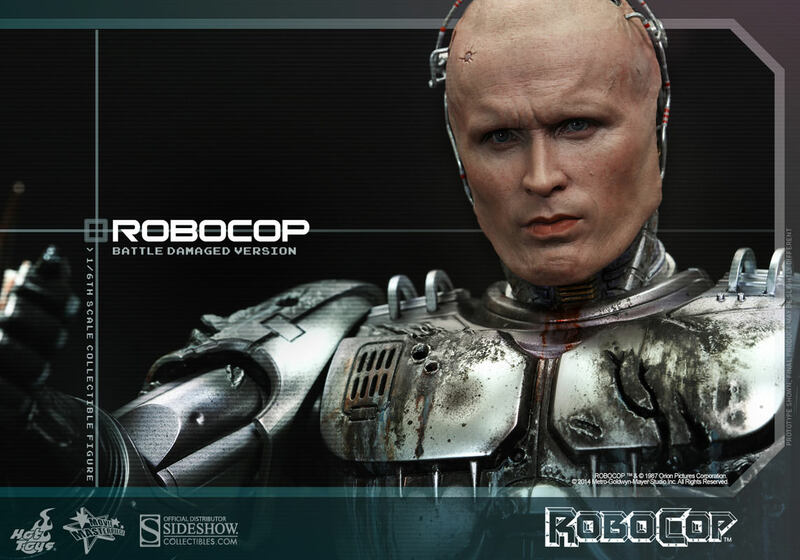 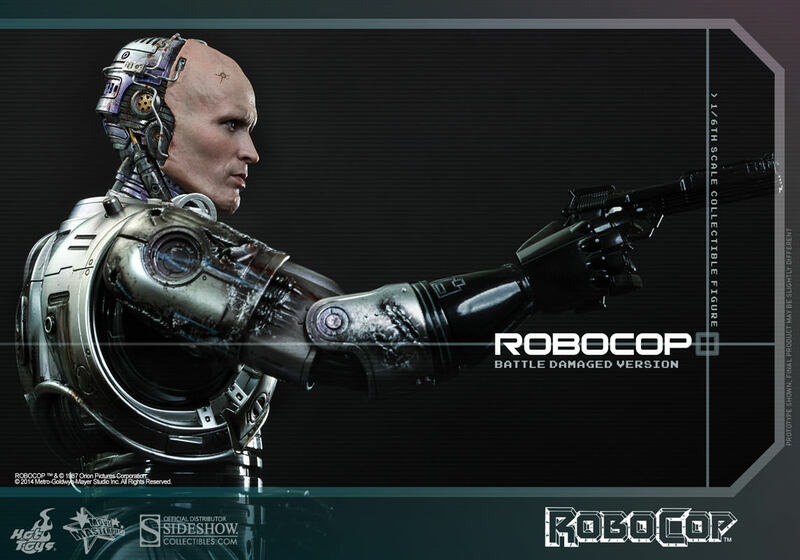 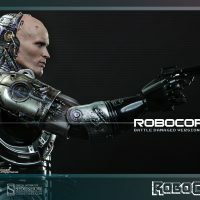 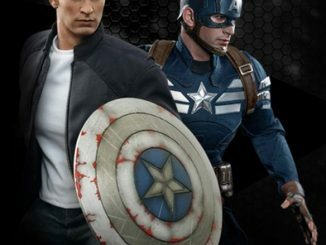 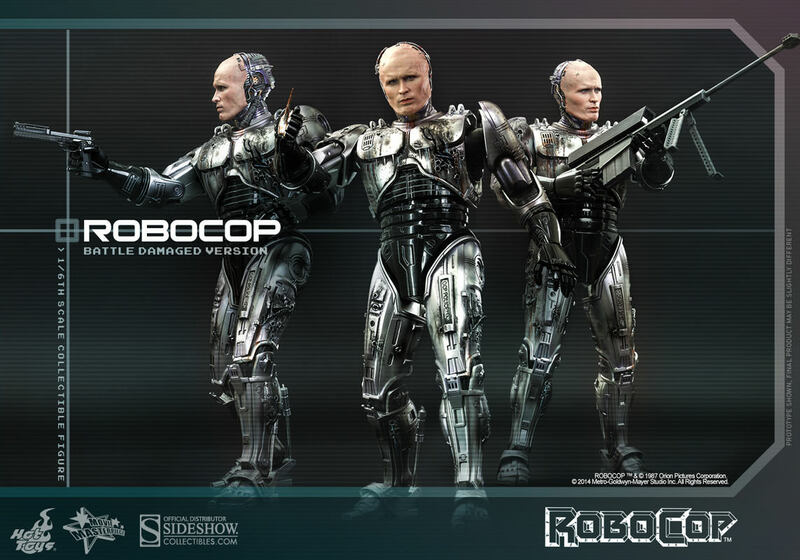 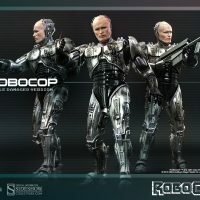 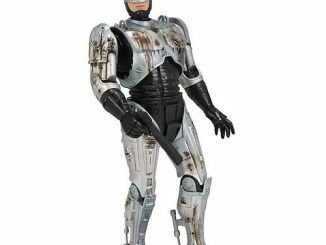 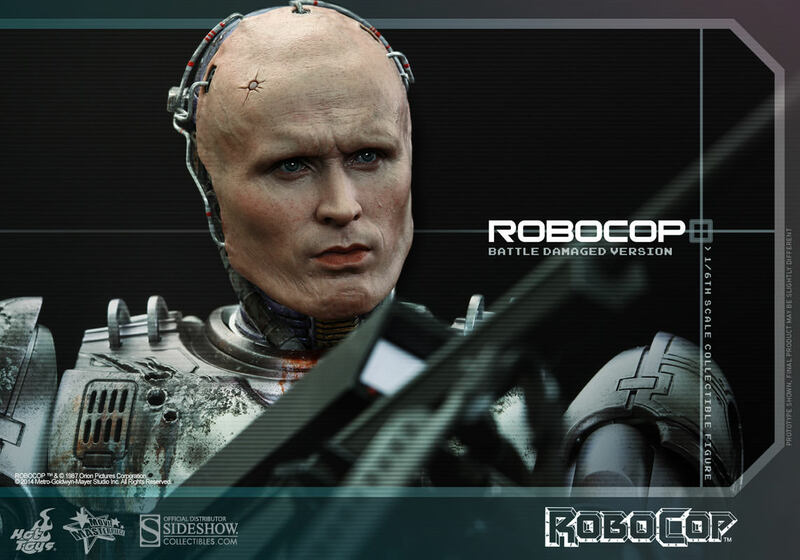 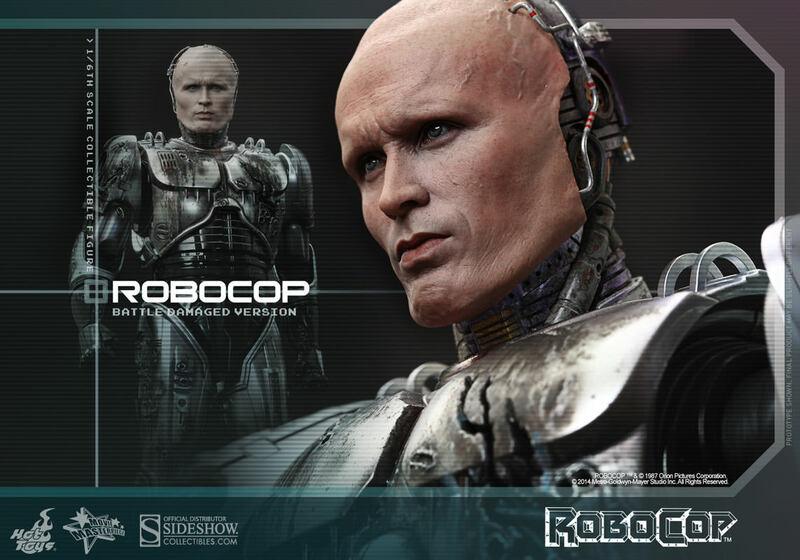 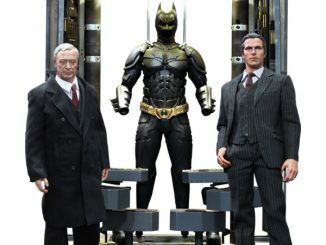 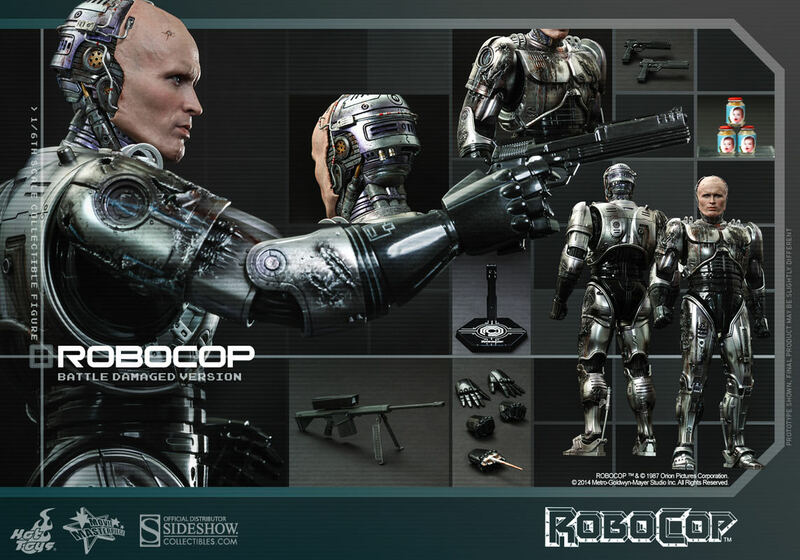 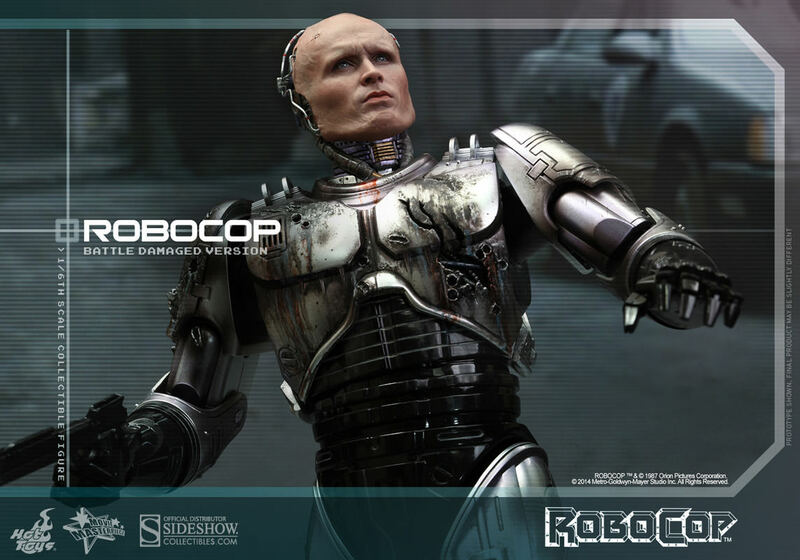 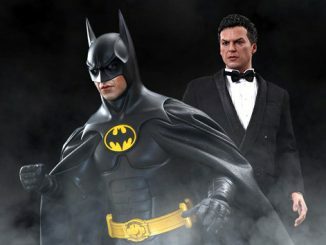 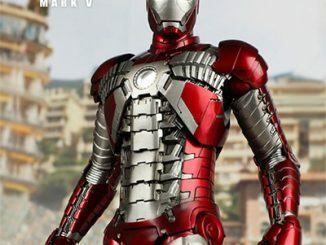 The Battle-Damaged Robocop and Alex Murphy Sixth-Scale Figure Set will be available July 2015 but it can be pre-ordered now for $439.99 at Sideshow Collectibles.